Pineoblastomas are high grade (cancerous - grade 4), fast growing tumours of the pineal region of the brain. They develop from primitive cells and are commonly found near the base of the cerebral hemispheres and the area above the pituitary gland and close to the hypothalamus. Pineoblastoma is one of a dozen different tumours that can present in and around the pineal area. It originates from embryonal cells which were left behind from the time the person was a developing fetus. Healthy embryonal cells go on to differentiate and play a part in the growth of body parts such as the pineal gland and retina. In the case of pineoblastomas these cells have divided incorrectly causing an abnormal growth or tumour. Due to their position these tumours often cause hydrocephalus, a build-up of pressure within the skull. 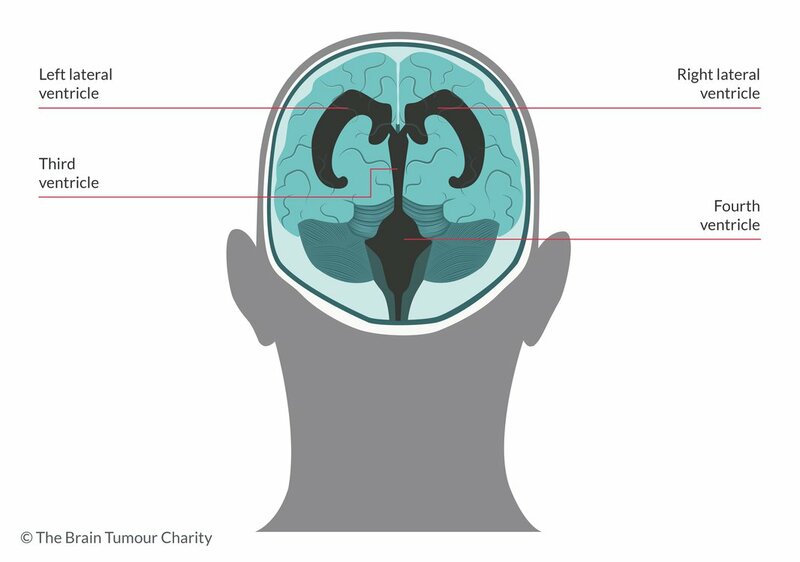 This happens because the tumour, usually located close to the third ventricle (see diagram below) blocking the cerebro-spinal fluid (CSF) surrounding the brain from draining away. As well as headaches and nausea due to the hydrocephalus, symptoms often also include abnormalities in eye movements. Although pineoblastomas can occur at any age, they are predominantly diagnosed during the first two decades of life. 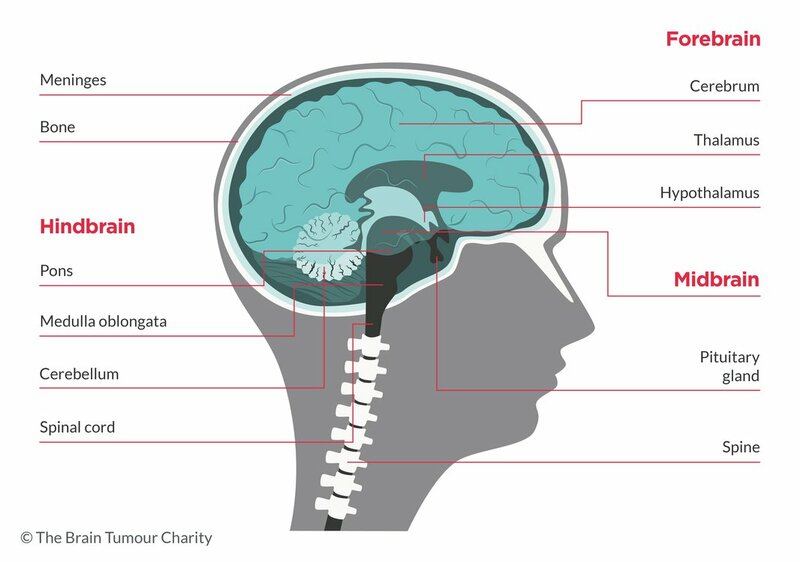 Our free Brain Tumour Information Pack has been designed to help you feel confident when discussing treatment and care options with your medical team. Our animation can help children to understand a brain tumour diagnosis.